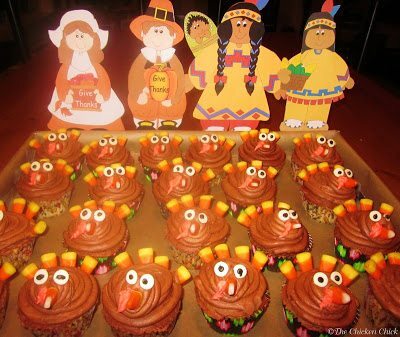 I‘d like to share two, easy Thanksgiving treats that my kids and their classmates get a kick out of and so do I. The Pilgrim and Native American embellishments were by far the most time-consuming aspect of this project. After printing, the six billion tiny pieces were taped onto a piece of oak tag and cut out together. After assembling all of the parts with double-stick tape or a glue stick, tape Popsicle sticks to the backs of each character. The kids were not nearly as amused by them as the teachers and I were! Using #12 tip fitted to black writing frosting, dab dots onto white chocolate chips and set aside. Using #12 tip, fill decorating bag with chocolate frosting. Frost the Body: beginning at the outside edge of cupcake, pipe frosting in circles, overlapping and stacking upwards. Frost the Head: using the same technique, pipe stacked circles for the head. 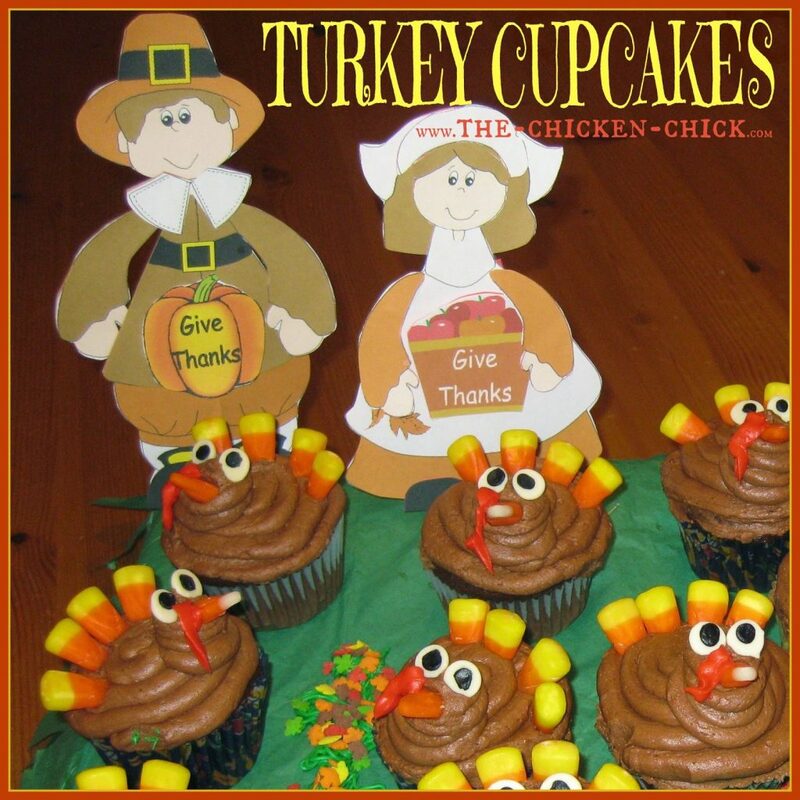 Insert 4 candy corns, pointy side down, into the back of each cupcake. Insert one candy corn into head for beak. For snood (that’s the technical term for the wobbly appendage that drapes over the turkey’s beak): Using #352 tip, pipe red frosting onto side of beak in a zig-zag motion. In microwavable bowl, melt yellow candies in microwave in 30 second increments, stirring in between each. Place warm (not hot) candy melts in decorating bag fitted with tip. On a piece of parchment paper, pipe a tiny square for each cookie, immediately adding one chocolate sprinkle before moving onto the next buckle. Place cookies striped side down on work surface. Fit decorating bag with #10 tip and fill with white frosting. In center of cookie, pipe a circle slightly larger than the peanut butter cup. Place peanut butter cup in center of cookie, upside down. 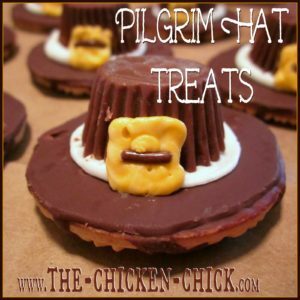 Pipe a dot of frosting onto the back of the hat buckle and apply to side of peanut butter cup. Chicken Wire, Lighted Christmas Balls. 'Tis the Season! 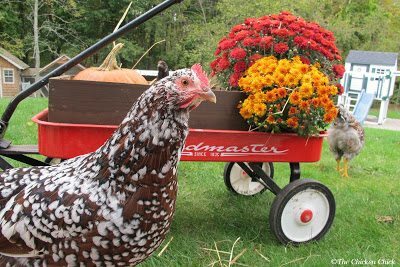 I enjoy your blog about raising chickens and all your recipes!! Keep it up for all your readers! !I I love the henbag!!! So cute and I would carry it! !